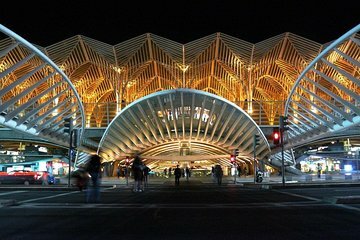 Lisbon has many hidden gems, and on this unique Sitgo tour, you’ll explore the redeveloped east area of Parque das Nações with a guide. By traveling on a Sitway, you’ll save tired legs and cover more ground than a walking tour. It’s a great way to discover locals secrets and get your bearings of Lisbon. Top sites you’ll see include Torre São Gabriel and Torre São Rafael, Vasco da Gama Tower, Oriente Station, and Pavilhão de Portugal.